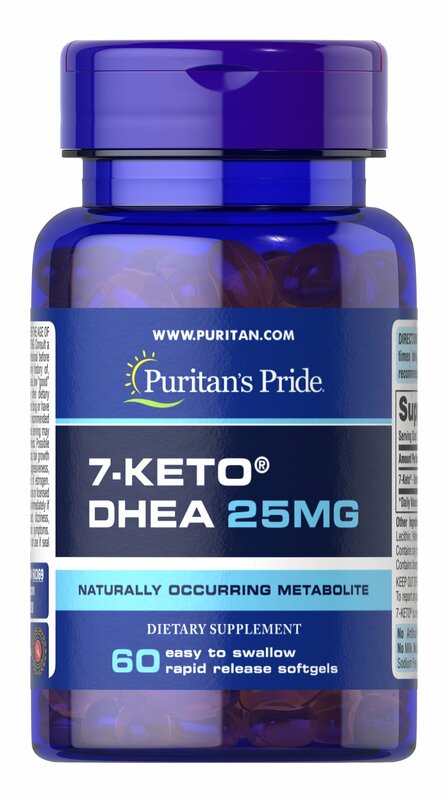 DHEA levels can decline with age, and 7-Keto™ is a naturally occurring metabolite of DHEA. 7-Keto™ gives you what the body naturally produces. Each stimulant-free, caffeine-free softgel contains 25 mg of high quality 7-Keto™ DHEA in softgel form.